Laugh Sabbath’s 2015-2016 producers, with non-comics Ashley Gray (4th from left) and Rebecca Raftus (2nd from right). Photo by David Leyes. How does one make comedy without being a comedian? At the Toronto Sketch Comedy Festival, which opened this week and runs until Mar. 13, many of the festival’s veteran and capable producing team are former or current comedians, presenting nightly showcases of funny people from across the country (especially from Toronto). But then there are the rarities: people who produce the acts but aren’t comics themselves. What fuels them to do what most would consider the “grunt work” of getting comedy shows up and running? There’s a common thread, of course—a love for comedy—but that passion manifests in different ways. Here, we celebrate five of the rarities at this year’s festival and beyond. Ashley Gray and Rebecca Raftus don’t appear in this pilot trailer for a web series—but they produced it. That was seven years ago, the pair estimates. Laugh Sabbath, now every Thursday at Comedy Bar, is celebrating its ten-year anniversary with a slate of reunion shows at TOsketchfest, bringing back seminal troupes like Knock Knock! (Who’s There?) Comedy! and The Distractions, plus a gala show bringing alumni and current collective members together. 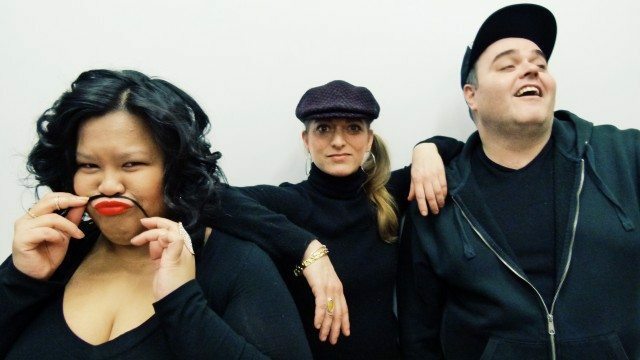 Ann Pornel (left) and Josh Murray (right) as Glimmer Twins, with choreographer Robin Henderson at centre, were one of our favourite discoveries of Sketchfest 2015. Photo by Evan Arppe. Henderson made the move to Toronto, where she currently teaches a class called “Jazz Hands” to Second City’s students, after a decade in Montreal, where, according to her, “much of the anglophone media has been decimated, and it was them that really supported Dance Animal and brought it attention.” Last year at TOsketchfest, she presented The Glimmer Twins (Ann Pornel and Josh Murray), one of our favourite surprises of the festival; this year, she’s back with Lipschtick. The show is normally eight comedians competing over three rounds, with one winner; but for TOsketchfest, it’s a showcase of the top routines of the past year, including “beat boxers, crump dancers, and magicians. It’s not lip-sync karaoke; we look for character, storyline, and strong physicality,” she adds. 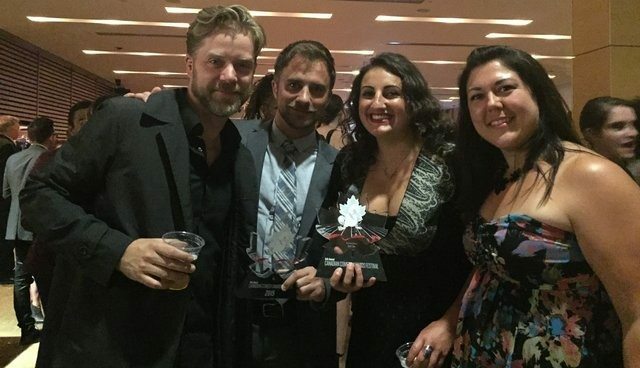 Left to right, Morgan Flood, comics DJ Demers and Steph Tolev, and Flood’s business partner Carolyn Sterling, at the 2015 Canadian Comedy Awards. Photo by Aisha Alfa. The Alt.Dot.Comedy Lounge at the Rivoli on Monday nights is arguably Toronto’s best-known stand-up showcase—and one of its longest running. Morgan Flood was involved with it for over a dozen years, running the “room” from 2008 onwards. But last year, he left his long-time employers Diamondfield Entertainment to set up his own company, which now produces a weekly Tuesday night at the Drake Underground. Alan Kliffer. Photo by Rob Trick. Alan Kliffer certainly identifies as a performer. He’s a busy one, in fact, shooting an episode of FX’s The Strain this month, and with theatre work lined up into the summer. But with comedy, and specifically improv, he’s chosen to focus on producing (much like Julie Dumais of Bad Dog Theatre), and helping the often maligned art form into traditional theatre spaces. “My company’s mandate is to create high-quality improvised theatre,” he says. Indeed, we’ve written about his shows: Mixed Company, which pairs improvisers with TV and film actors and is produced on a monthly basis at Comedy Bar, and One Night Only, which just wrapped a successful run at Factory Theatre. “What was great about One Night Only was that the theatre community came out to see the shows,” says Kliffer—they even had one patron return to see the different-every-night improvised musical eight times. Kliffer has his hands in a lot of pies. He’s an instructor at the Randolph Academy, but he also works as an MC and host for dance competitions, including Thunderstruck Canada Dance, Dancefest Canada, and Breakthrough Dance Challenge. All three strike us as similar to the Canadian Improv Games, where Kliffer first found his love for improv, as a 15-year-old in Manitoba. At 16, he produced his first sketch-comedy show—and hasn’t stopped. At 17, he was already assistant instructing classes on the advice of Scott Montgomery (whose troupe Falcon Powder is in TOsketchfest’s Featured Series). Kliffer will miss much of TOsketchfest while MCing for Thumderstruck in Winnipeg. But Mixed Company, which had an edition on February 29, will be back again soon and so will One Night Only, which Kliffer hopes will return in September. Ian Atlas. Photo by Ryan Dillon. 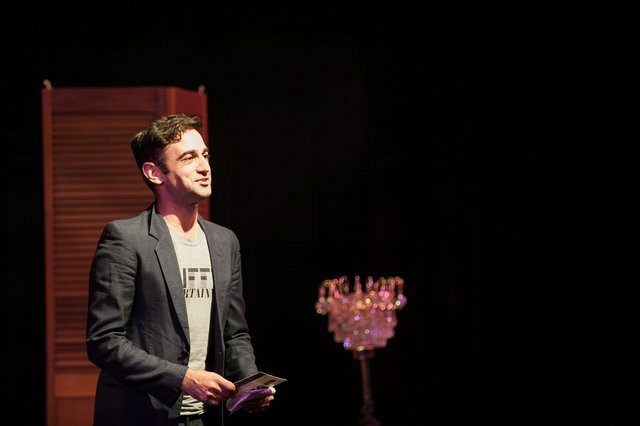 Ian Atlas vividly remembers the first time he performed stand-up at an open mic night in Vancouver. “It was my 25th birthday, and I thought, ‘If I don’t try this, I’ll always wonder’.” Then, in 2008, he moved to Toronto and started an open mic night (at the Hole In The Wall, in the Junction) within a month of his arrival. 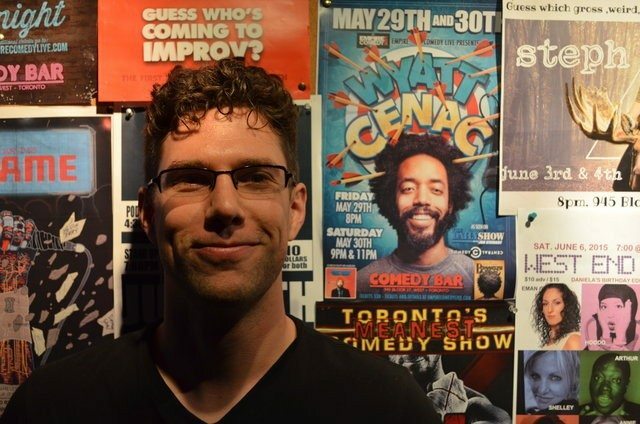 Atlas and his company, Empire Comedy Live, have become one of the best and busiest independent promoters, bringing in comedic talent from outside of Toronto (and matching it with local acts). Part of the appeal, Atlas believes, is his preference for booking comics such as Jackie Kashian (who just finished five nights at Comedy Bar) into multi-show stands at smaller clubs, instead of the “big payday” one show stands at larger theatre spaces. This puts him (and occasionally comics) at odds with their booking agents. “Wyatt Cenac actually changed agencies because of that, and once he did, we had him here in two weeks,” Atlas says. The multi-show stands also allows Atlas to book numerous local support acts (many of whom have competed in his annual Comedy Brawl) who are eager to share bills with their favourite out-of-town performers. “It’s important to find ones who complement the guest performer,” he says of showcasing local talent. 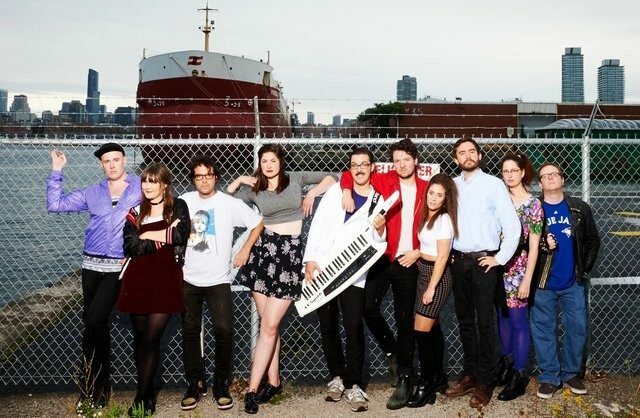 The Toronto Sketch Comedy Festival runs until Mar. 13. CORRECTION: 2:40 PM A previous version of this story misspelled Ashley Gray’s name. Torontoist regrets the error.